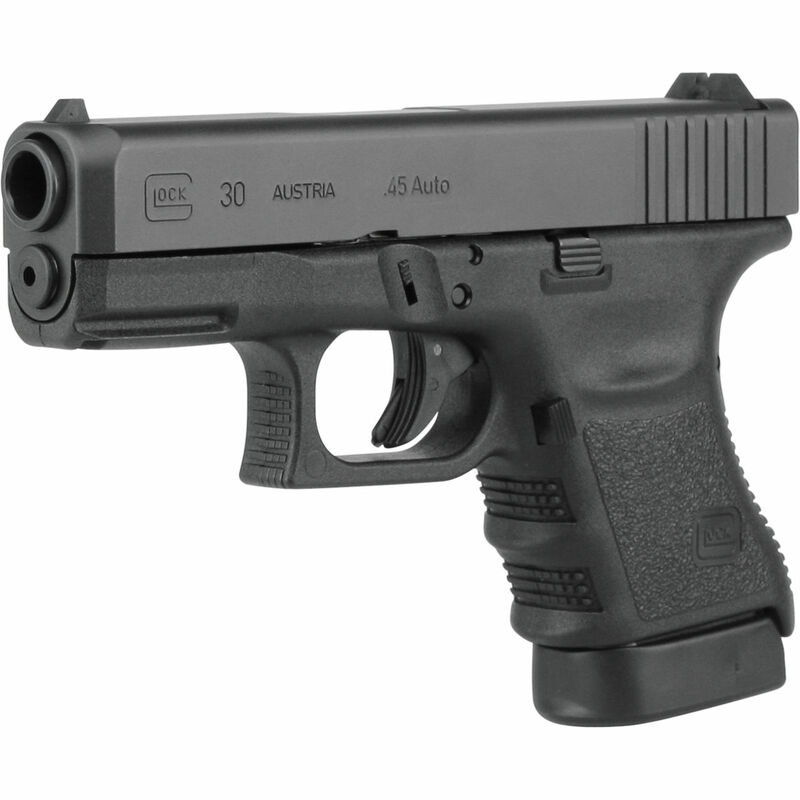 Glock 21 SF (small frame) in .45 ACP.Remarkable for its accuracy and light recoil, the GLOCK 21SF delivers the legendary stopping power of the .45 AUTO round with 10/13 round magazine capacity. 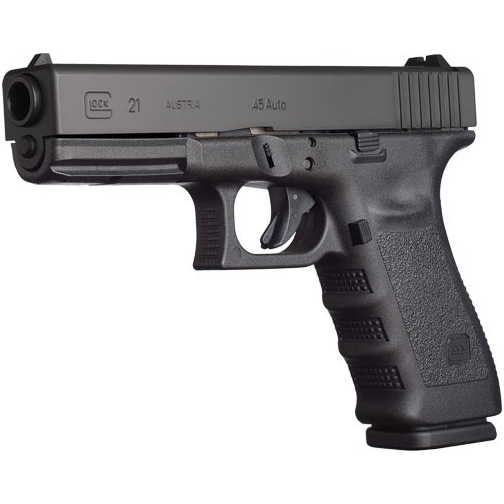 Countless law enforcement units swear by the G21SF pistol, and that’s why this powerful, lightweight, all climate workhorse is standard issue from the North to South Poles. The SF model reduces the circumference of the receiver at the rear, or “back strap,” offering increased comfort and control—especially for shooters with smaller hands.